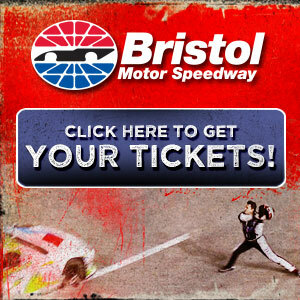 Kyle Busch and Matt Kenseth. Joe Gibbs' two stars were hot here in February's 500, until their engines broke, within minutes of each other. And Busch and Kenseth are both hot here again, taking the front row Friday afternoon for Saturday night's Coke 400...and hoping to have a little better luck. "It's hard to tell how the race will go, like here in the 500 or like at Talladega," Busch said, after his first pole (193.723 mph) on a restrictor plate track. Busch is one of the sport's top drivers, particularly impressive at this track. But qualifying has never been a big plus. Since qualifying here is much more car than driver, Busch's run shows Toyota engineers have brought an aggressive package. Busch won the July 400 in 2008, but since then his finishes have been hit-or-miss. 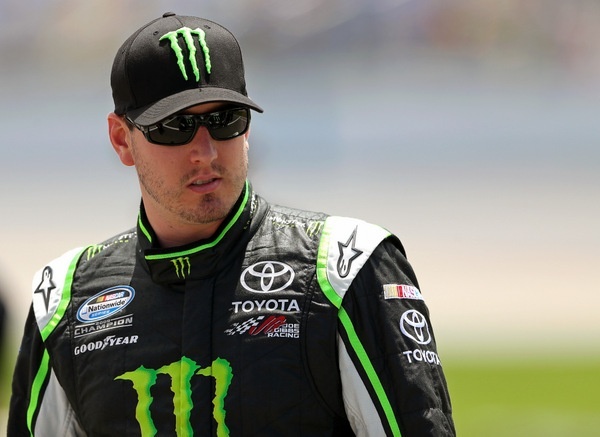 "We had issues here in the spring (he finished 34th), but we didn't see any of those at Talladega," Busch said. "And it looks like the Toyota guys have given us more power for this race." Busch brushed off a question about his run-ins with Kasey Kahne and whether they might come back to haunt him here. "Is that a legitimate question?" Busch griped. "Kasey is much better than that." If Busch misjudges, it won't take long to find out, because Kahne qualified fourth for the 7:30 p.m. ET start. After several weeks of so-so action, this 400 should be much more interesting, probably with a green-white-checkered shootout finish. "We all know it's going to be wild," Clint Bowyer says. Busch, Kenseth and Bowyer made it 1-2-3 for Toyota. But Toyota's TRD engine department this season, though putting out very strong motors, has been plagued with some reliability issues, putting questions over this event. Engine issues are figured to be part of the reason for the recent shakeup in Toyota's NASCAR racing operation. The engines are all built in Los Angeles by the car maker, and the teams have virtually no control over that part of the car. An issue hanging over several teams and drivers, including Busch, Kenseth and Bowyer, is NASCAR's Thursday announcement that 31 teams -- 16 Cup, 15 Nationwide -- were discovered with faulty safety roof flaps. NASCAR says any penalties could come Tuesday. 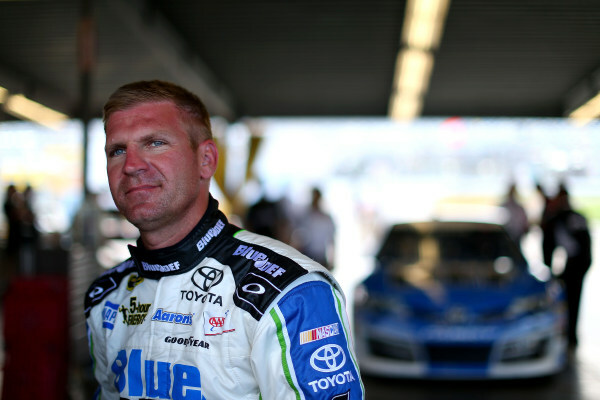 "I just know the roof flaps keep us on the ground, which is a good thing," Bowyer said. "I don't know about spacers in the roof flaps. I've never been in that department." 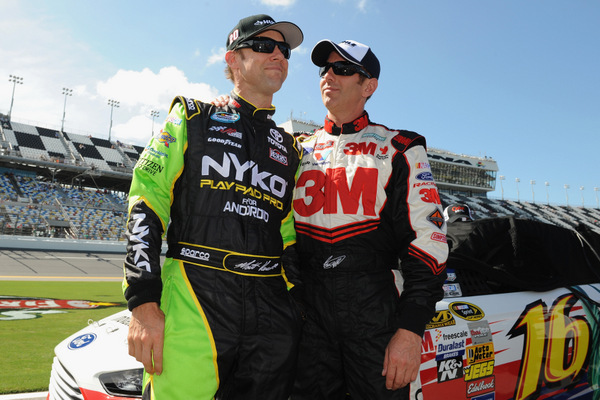 "Might not be anybody down there anymore," Kenseth cracked. When it comes to Daytona, Dale Earnhardt Jr. is always a favorite...even though his last win here was in 2004. "It's been a bit of a challenge for us to win here," Earnhardt concedes. "We've come awfully close, trying to win the 500 in the last few years. We've been finishing well but haven't really been able to figure out what I need to do to get into first place on the last lap. "We've had no problem finding our way to the front; but we have not been able to overtake the leaders. So I think we might need to try to be at a better position sooner, where we're not having to have to do so much right at the end of the race. "So maybe throughout the race we'll try to be a little more proactive toward improving track position -- a little more aggressive. "But the way the 500 was going, it was a big risk to pull out and try to make a pass, or try to do anything to move forward, because you were out there by yourself and you basically would go to the back of the pack in just about every case. So it was difficult to find out how there was any other way to pass or move forward."